Political and grassroots public support for a resilient, non-nuclear and fossil fuel-free future is gaining traction and spurring development of new microgrids in Japan. Prime Minister Shinzo Abe’s governing Liberal Democratic Party (LDP) is advancing efforts to invest greater sums to develop smart villages, towns and cities with interconnected, low and zero-carbon microgrids and distributed energy. “The national resilience program is deeply institutionalized,” Rikkyo University professor of political economy Andrew DeWit told Microgrid Knowledge, adding that Prime Minister Shinzo Abe’s government seeks to spend $41 billion on new resiliency projects in 2018. One such development comes comes in the form of a partnership between PanaHome, ENERES, IBJ Leasing and the government of Hyogo Prefecture. 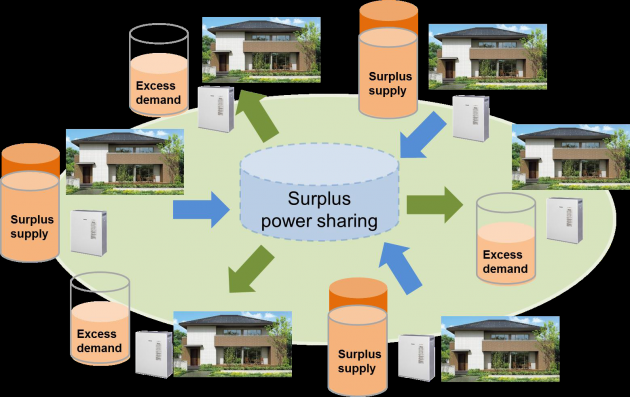 The project partners unveiled a plan on September 21 that calls for installing and integrating 117 home solar PV-battery energy storage systems to form a community microgrid in a new area of Ashiya City known as Smart City Shioashiya Solar-Shima. Panasonic, Tesla’s lithium-ion battery Gigafactory partner, is supplying the residential battery energy storage systems. 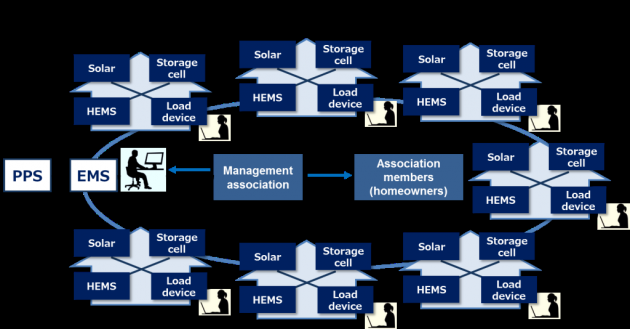 Project plans entail expanding on the initial 117-smart home solar-storage microgrid by building out a regional energy distribution management system beginning in October. Japan’s powerful Ministry of Economy, Trade and Industry selected the project as part of a “subsidy program to promote local energy production for local consumption by leveraging regional characteristics,” according to the project partners. As such, Smart City Shioashiya Solar-Shima is expected to become a national model for smart city, town and village microgrids, technologies and systems, as well as a showcase for “Made in Japan” projects overseas. According project partners, 80 percent or more of the smart housing district’s energy will be generated by residential and commercial solar PV systems and stored and dispatched according to residential, community and eventually, broader regional power grid needs and conditions. Private power distribution lines will be run to homes and connected to the microgrid for intelligent distribution. The residential community microgrid will be self-sustaining, disconnecting from the broader utility grid when outages occur, while continuing to draw on residential solar PV generation and Li-ion battery energy storage systems. Energy self-sufficiency combined with broader-based grid-connectivity is seen as a way to enhance the resilience of energy supplies to the new housing district. Several other benefits are expected, however. These include a 20 percent reduction in household electricity bills. In addition, by maximizing solar power generation project partners expect the microgrid to reduce carbon and other greenhouse gas emissions substantially. Looking further ahead, project partners plan to contribute to Japan’s resilience drive by piloting ways to share electric power between buildings, avoiding blackouts, and showcasing smart city-microgrid in overseas markets. Japan’s push for resilience stems from the 2011 Great East Japan Earthquake and tsunami that left Tokyo Electric Power’s nuclear power plant in Fukushima a radioactive ruin. Breaking from its longstanding reliance on nuclear energy and imported fossil fuels, Japan instituted a generous solar feed-in-tariff (FiT) and other renewable energy incentive programs, and a boom in project investment ensued. Six years later these programs have largely run their course. Focus has now shifted to making use of solar, wind, hydro, marine and waste in the context of resilient urban, suburban and rural development. Underpinning this has been the sharp decline in the cost of advanced lithium-ion battery storage systems, along with coincident improvements in performance. Japan is home to some of the world’s leading solar PV, lithium-ion battery storage manufacturers and Internet companies, such as Hitachi, Kyocera, Panasonic and NTT. In addition, leading members of PM Abe’s government and the LDP have taken up the distributed energy banner, DeWit explained. “Kashiwagi Takao and his cohort are the leaders pushing for coordinated industrial policy,” he said. Kashiwagi is the energy-environment czar (specifically asked for by PM Abe) of the Society 5.0 program, which builds on Germany’s Industry 4.0 distributed renewable energy strategy and takes it society-wide. A professor at the International Research Center for Advanced Energy Systems for Sustainability at the Tokyo Institute of Technology, Kashiwagi also leads the government’s New Energy Promotion Council. The Council has paid out more than $891 million in subsidies from the Ministry of Economy, Trade and Industry for smart energy communities. “LDP Secretary General (basically second in command) Nikai Toshihiro is also a powerful force in pushing the paradigm forward. Nikai is very powerful and has held METI [and other] ministerial posts, as well as led top party policy committees,” he said. Nonetheless, a political-economic and industrial “tug of war” regarding national energy policy is taking place in Japan. On one side are those that advocate investing along traditional lines to enhance energy security, reliability and resilience. That would entail rebuilding Japan’s nuclear power generation capacity – to a proposed of 20-22 percent by 2030. On the other are those that advocate creating a largely, if not wholly, non-nuclear and fossil fuel-free future from the grassroots up. They envision making a wholesale shift centered on power and energy decentralization, digitization and decarbonization. 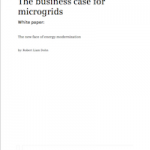 Key to this is the creation of resilient smart homes, buildings, villages, towns and cities powered by locally appropriate mixes of distributed renewable and low-carbon energy resources that are managed by interconnected microgrids and a range of distributed energy-to-grid assets, DeWit told Microgrid Knowledge. 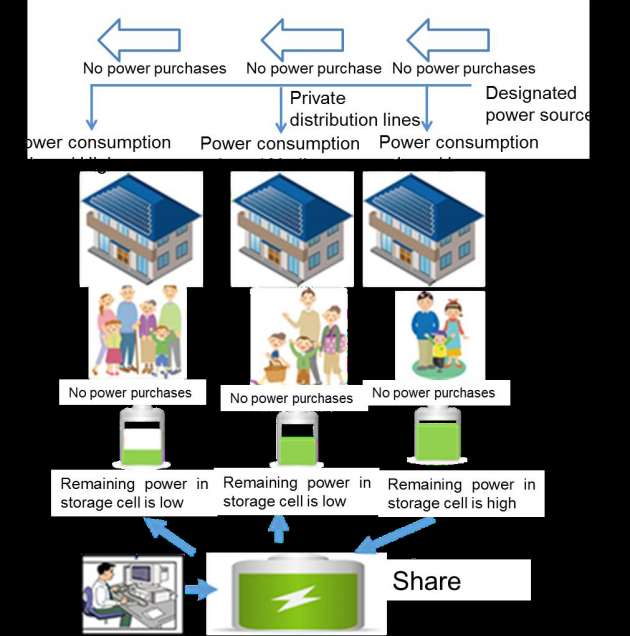 In addition to the Smart City Shinoasahiya Solar-Shima project other community microgrids in Japan are already up and running, DeWit noted. One is on Miyako Island, which took a direct hit from Typhoon 18 two weeks ago, knocking out power to 80 percent of the island’s households. DeWit and others were awaiting word, regarding the island community microgrid’s performance during and subsequent to the typhoon. Below we take a brief look at some of the major natural disasters that have and continue to alter Japan’s energy landscape and spur development of new microgrids in Japan. The Great East Japan, or Tohoku, earthquake struck the coast of Honshu, Japan’s main island, northeast of Tokyo on March 11, 2011, registering 9.0-9.1 on the Richter scale. 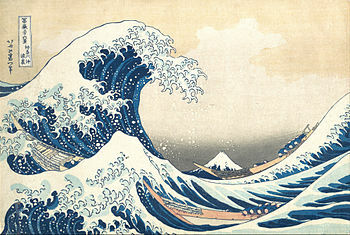 The massive thrust and movement of the earth’s tectonic plates unleashed a tsunami (or tidal wave) that breached and compromised the cores of reactors within Tokyo Electric Power’s Fukushima DaiIchi (Number One) nuclear power plant, causing a meltdown and exposing the reactor core to the sea and surrounding terrestrial environment. The effects were felt as far away as Norway and across the Pacific, where debris, as well as traces of radioactive heavy metals, continues to wash up on North American beaches and shorelines. In Japan, people are still recovering. There were an estimated 150,000 evacuees from the surrounding area who lost their homes as of February this year – 50,000 of them were still living in temporary housing, according to Japan’s Reconstruction Agency. All told, more than 120,000 buildings were destroyed, 278,000 were half-destroyed and 726,000 were partially destroyed, the agency said. The Japanese government estimates direct financial damage at some $199 billion dollars. World Bank projections indicate the total economic cost may reach as high as $235 billion, which would make the Great East Japan Earthquake the costliest natural disaster in world history. In addition to the ravages of earthquakes and tsunamis, typhoons – the equivalent of hurricanes in the Western Hemisphere – perennially alter the course of life and events in Japan. Typhoon Talim struck Japan’s Kyushu island, south of Honshu, on September 17. Local authorities called for the evacuation of tens of thousands of residents as record rainfall was being recorded. About one month earlier, Typhoon Noru had finally weakened sufficiently to be downgraded to a tropical depression. Even so, what was left of Noru continued to drop huge amounts of rain on Honshu, on which Japan’s two largest cities – Tokyo and Osaka – are built. Noru goes down in the record books as the third longest-lived typhoon on record and the longest since Typhoon Rita in 1972. To date, it’s also this year’s most powerful. It wasn’t long after that the Japan Meteorological Agency began monitoring three cyclones in the vicinity of the Japanese archipelago. While the simultaneous occurrence of three tropical storms during a year’s season doesn’t happen all that often, it isn’t considered out of the ordinary, just a particularly busy period. What made Tropical Storm Mindulle, Tropical Storm Lionrock and Tropical Storm Kompasu extraordinary was that they were defying the known laws of meteorological physics. Despite being in close enough proximity to one another to interact with each other and travel in the same direction, they were moving in different directions. Meteorologists subsequently discovered the reason for this anomalous behavior: an area of discontinuity in the atmosphere that runs north-south across Japan from just west of Tokyo. Defined as a “trough” by meteorologists, troughs are common atmospheric features that can be imagined as being akin to a crevice, or crevasse, in the surface of the earth or a glacier. 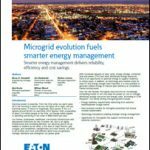 Track news about microgrids in Japan by subscribing to the Microgrid Knowledge newsletter. It’s free.